Veggies don't belong in muffins... or do they? 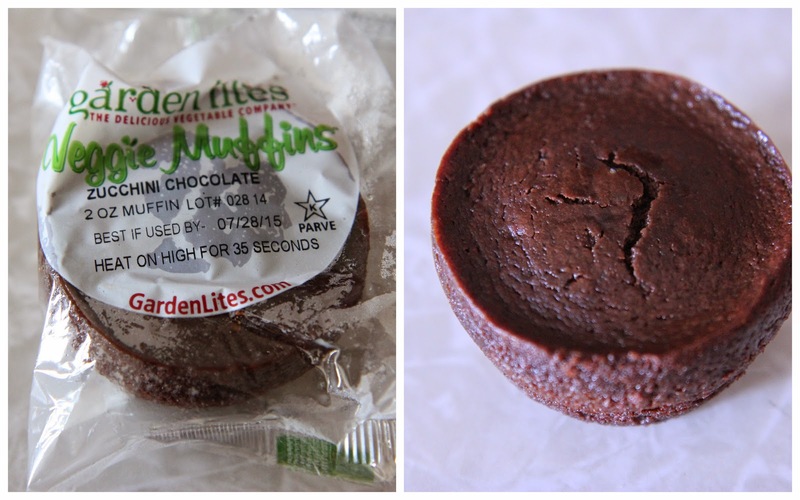 As a big fan of carrot and zucchini muffins that are more sugar than anything else, I was interested in the new line of muffins from Garden Lites (we loved their Souffles.) Designed to be taken straight from the freezer to microwave to plate, they are truly a muffin you would never believe were chock full of veggies and fiber! While we tested a handful of different varieties, there were two favorites that really stuck out. First, the corn muffin. It was super-sweet and loaded with real sweet corn kernels. The second muffin on my "must-eat" list is the Zucchini Chocolate. This muffin is super rich, dense, chocolaty and amazing. It has no hint of zucchini, but it's in there! There are melty chips in the middle that give it an extra decadent feel. I could see my Grandma (who hates veggies and needs more fiber in her diet) loving these. She's addicted to dessert. For a quick snack or breakfast to go, these can be heated in 35 seconds and ready to enjoy. Plus, they are GLUTEN FREE! Find them in the freezer section of grocers nationwide or get more info at the Garden Lites website.